Sports biopics are surely the flavour of the season. The much awaited, Sachin: A Billion Dreams is set to hit theatres all over India just a fortnight from now. To be released in five languages, including English, Hindi, Marathi, Tamil and Telugu, the movie promises to reveal a few aspects of the Master’s life, hitherto unknown even to his fans and devotees. With Sachin Tendulkar himself playing the protagonist in the biographical flick, there’s little doubt that the movie will be a huge box-office hit. In recent years, movies celebrating the lives of legendary sportspersons have taken over the imagination of Bollywood producers like nothing before. Big grossers like Bhaag Milkha Bhaag, MS Dhoni: The Untold Story and Dangal have been happily lapped up by movie-goers. What’s more, they have received rave media reviews and bagsful of awards, to boot. Bollywood follows a cycle that depends heavily on high collections at the turnstiles, just like any other business. Sports biopics therefore is a genre that has worked and will surely continue to rake in the moolah for production houses for a few more seasons yet. In the pipeline, therefore, are movies based on the lives of hockey legends, Balbir Singh Dosanjh and Dhyan Chand; badminton stars, Pulela Gopichand, Saina Nehwal and PV Sindhu and, Paralympic high jumper, Mariyappan. The biopics trend isn’t limited to Bollywood, though. Most of the movies nominated for the Oscars, the last couple of years, have been based on real-life characters too. True stories of legends — living or dead — make for fascinating viewing and steal a march over fiction, any day, howsoever interesting. Biographical films have been made ever since the medium was born but the genre seems to have caught on only now. The reason being, the depiction of real-life characters has come in for special attention from judges and juries at major award functions, both in India and abroad. The ascendance of biopics at the Oscars, for example, is because of the demanding nature of roles and of course, the ambitious actors who are prepared to put their careers on the line to take up such challenges. 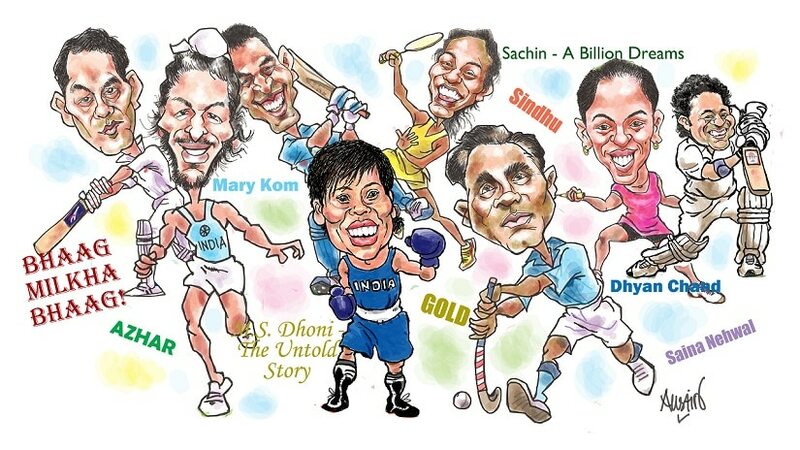 Sporting heroes in India are few and far between. Milkha Singh — 'The Flying Sikh', Dhoni and the Phogat sisters have won Indian hearts with their super performances at the international level. That Farhan Akhtar, Sushant Singh Rajput, and the Dangal team of Fatima Sana Shaikh, Sanya Malhotra, Zaira Wasim and Suhani Bhatnagar – along with Aamir Khan – were able to portray them on screen with convincing facility, speaks volumes for their acting prowess. Bhaag Milkha Bhaag was the fore-runner to a string of films based on the lives of sporting legends. 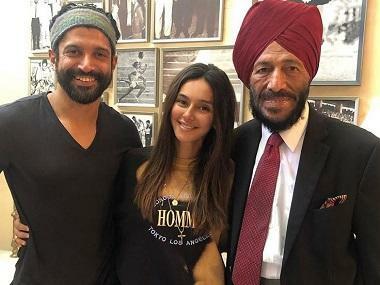 The movie brought to life Milkha’s childhood travails: The brutal killing of his parents during the partition, his life in a refugee camp — growing up with a gang of thieves — and finally his joining the army, where his talent as a runner was recognised. The movie’s storyline revolves around his intense hatred for Pakistanis and trivialises, to some extent, his dazzling running career. Farhan Akhtar’s brilliant portrayal of the legendary athlete’s life is inspirational and at the same time, entertaining. Another great movie — based on the life of a reluctant athlete-turned-dacoit — that had received critical acclaim, and a handful of awards, was Paan Singh Tomar. Though this wasn’t strictly a sporting biopic, the 2012 movie was well received, with Irrfan Khan playing the protagonist. Mary Kom, with Priyanka Chopra playing the popular pugilist from Manipur, hit the screens in 2014. Winning a host of awards and doing exceedingly well at the box-office, the movie was a commercial success. One sport biopic that really disappointed movie goers was Azhar, released in 2016. Mohammad Azharuddin was a brilliant batsman, an outstanding fielder and of course, a very good leader of men. But what the movie attempted was painting him ‘innocent’ in the sordid match-fixing affair. Khalid Mohamed wrote in his review of the film, “The transparent endeavour to glorify him as a goody-gumdrops of a guy, grates on the nerves.” Despite good performances from Emraan Hashmi and Prachi Desai, the film did not really take off. If Azhar was a let-down, then sports and movie aficionados had a treat coming their way, four months later, in the form of MS Dhoni: The Untold Story. Sushant Singh Rajput played the role of ‘Mahi’ brilliantly in this movie, with Disha Patani, Kiara Advani, Anupam Kher and Bhumika Chawla doing remarkably well in the supporting cast. Based on the life of India’s most successful and inspirational captain, the film grossed Rs 220 crores at the ticket booths and catapulted Rajput into the upper echelons of Bollywood. Even as Bollywood buffs had their sumptuous fill of MS Dhoni: The Untold Story, along came the Aamir Khan blockbuster, Dangal. Released in December 2016, Dangal is the biopic of a failed grappler named Mahavir Phogat, who trains his daughters, Geeta Phogat and Babita Kumari, to win international accolades in wrestling. The movie collected over Rs 900 crore at the turnstiles, was made tax-free in many Indian states to promote ‘beti bachao, beti padhao’ and won quite a few film awards. Sachin: A Billion Dreams — the title selected by the Master’s Twitter fans — releases on 26 May 2017. It is written and directed by James Erskine. The movie, in all probability, will take a behind-the-scenes look at how Tendulkar grew up to be, arguably, the best batsman the world has seen. Several sports biopics are currently in the production stage: Akshay Kumar announced a few months ago that he was working on Gold, a biographical film on the legendary Balbir Singh Dosanjh, a three-time Olympian. Though details of the cast have not been made public, it is known that Akshay Kumar would play Balbir and in all probability, Kunaal Kapoor will play AIS Dara – who first represented India and then captained Pakistan in the London Olympics in 1948. Another biopic that is eagerly awaited is that of India’s hockey wizard, Dhyan Chand. The movie will be produced by Karan Johar but it isn’t clear if Shah Rukh Khan has consented to play the hero. It was rumoured that if SRK declined the offer to play Dhyan Chand, then most probably, Varun Dhawan would be offered the lead role. On the badminton front, Amol Gupte, who is directing the Saina Nehwal biopic, has the script ready and has chosen Shraddha Kapoor to play the star shuttler. 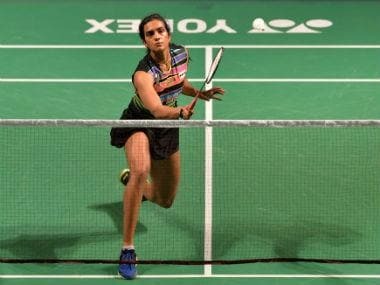 The talented actress will do well to pick Saina’s swagger and confidence on court and her decorous conduct off it. Actor and former badminton player, Sudheer Babu will play the role of his friend Gopi in the film titled, Pulela Gopichand. Award-winning director, Praveen Sattaru will direct the movie, which will be produced by Abhisek Nama. Gopichand’s is an interesting story; a mixture of hard work, poverty, emotion and romance that will inspire a lot of sportspersons. Actor-turned-producer, Sonu Sood will make the Sindhu biopic and it is assumed that Deepika Padukone, a badminton player herself and a daughter of the legendary Prakash Padukone will play the protagonist. Finally, the biopic on Paralympic high jumper, Mariyappan Thangavelu should be the most inspirational of all! Mariyappan from Salem, in Tamil Nadu, was one of six children brought up by his mother, a labourer. His father had abandoned them when very young. The high-jumper was run over by a bus, causing his leg to be stunted below the knee. At the Rio Paralympics, he won the high-jump gold, clearing 6 feet 2 inches. Mariyappan has completed his Bachelor’s degree in Business Administration and is now working towards an MBA. He was awarded the Padma Shri by the Government of India in January 2017. Biopics take an in-depth look into the lives of legends, living or dead. Chances are that most of the times, the storyline goes awry. It is either too focussed or missing on important events or that it has glossed over the subject. At other times, the lead actor is just not right. With biographical flicks, the stakes are too high and the producer, director and cast cannot please everybody. Biopics, especially on the lives of sporting legends, can never be perfect. But they will always tell a story that needs to be told! Any takers for biographical movies on Sunil Gavaskar, Kapil Dev, Bishan Singh Bedi, Dhanraj Pillay, Leander Paes, Prakash Padukone and a few others?